Triton Power Wash in Edmonton is the trusted name for fleet cleaning and management. Give us a call today to learn more about our fleet cleaning services. At Triton Power Wash we specialize in heavy equipment washing and commercial pressure washing. When you image matters you can count on us. Our commercial building cleaning and property management services are 2nd to none. Let the team at Triton Power Wash in Edmonton restore a brand new look to your buildings. 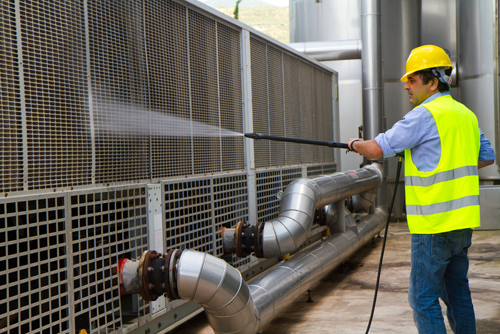 Edmonton Power Washing services for the industrial sector. 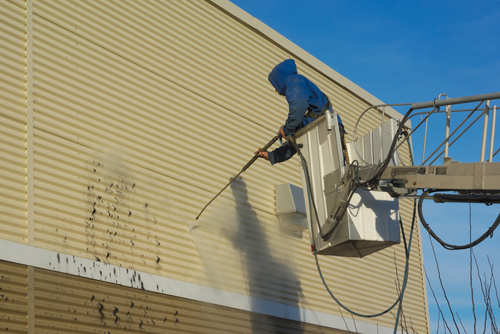 We offer building cleaning and industrial power wash.
At Triton Power Wash we offer comprehensive power washing services in Edmonton, Sherwood Park, Spruce Grove and St Albert. At Triton Power Wash we can take care of all your power washing needs and make your business shine. Give us a call to learn more. At Triton Power Wash Edmonton we can capture and safely dispose of waste water collected on your site, thus ensuring that dirty contaminated water is not getting introduced into the soil. 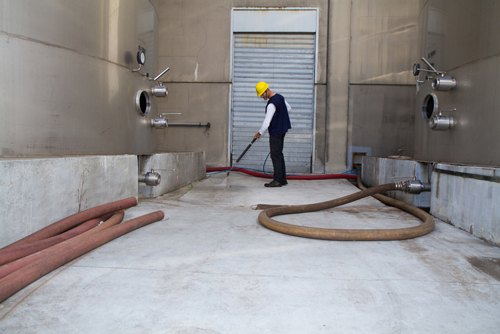 Water is recovered using our vacuum and storage tank system, and then disposed of at the appropriate facility. At Triton Power Wash Edmonton our products are 100% biodegradable. Any cleaning agent used by Triton Power Wash is environmentally-friendly, phosphate-free, and designed to help reduce environmental hazards. At Triton Power Wash we maintain our own fleet of vehicles in the most eco-friendly manner. By taking this small, yet significant step, we are helping reduce our carbon footprint.